Editor’s Note: When a tree-cutting accident in 2010 led to broken bones, a separated shoulder, and a punctured aorta, it seemed that Arthur Torrey had miraculously escaped any spinal cord damage. 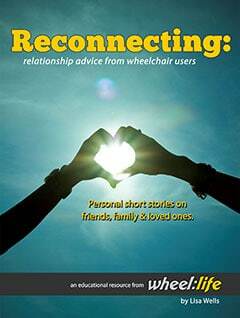 However, after undergoing emergency surgery to patch up his aorta, he woke up a paraplegic. 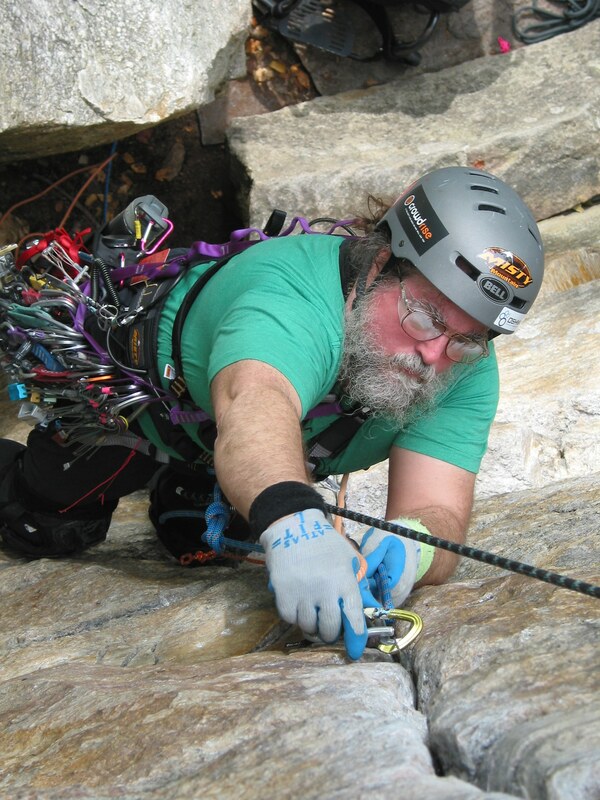 Describing himself as a tool geek, handyman, and heavy duty reader, Arthur didn’t let his injury keep him from tackling any mechanical problem put in front of him, including how to make adaptive climbing more interesting and challenging. I had heard about makerspaces before, but I’d never visited one. Shortly after getting my driver’s license back following my injury, I decided to join one called Artisan’s Asylum. I had tools at home, but my setup was no longer practical, and I wanted to find a place where I could get my tool fix and work on things. Now, I work on various projects, particularly for power chairs and other mobility-related things. For example, Erik Kondo is known for skateboarding with his wheelchair, and I’m the man behind his board. I also built his snowboard and some other adaptive equipment for him. I enjoy customizing equipment for people. Editor’s Note: A makerspace is a membership-based facility used for collaborative learning, exploration, and innovation. Spaces typically provide access to various tools and equipment, such as soldering irons, sewing machines, wood and metal working tools, or 3D printers, and also hold educational workshops on various skills. When I went over, they put me on an ascender bar, which is a system used by some adaptive climbers. Basically, you have a couple pulleys and a pull-up bar. You move up by pulling yourself up and the bar ratchets up with you. For me, it was totally boring, because I was pretty much just doing pull-ups. I wasn’t interacting with the wall, so there was no problem solving involved. It’s just pull, pull, pull, then get lowered down once you reach the top. A guy named Sean O’Neill was there as a visiting celebrity that day. He’s the first paraplegic to ever lead climb, as far as I know. He did a couple of demo climbs with an early version of what he called tentacle climbing. It looked like a lot more fun to me than just doing the ascender bar. I asked him to help me get set up with it and then did an easy wall. It was fun, but I had so many ideas on how to make it even better. My engineering mode kicked in, and over the next few years, each time I’d show up to climb, my equipment would be slightly different than the week before. I’d find an element that didn’t work well and modify it. Eventually, all of that trial and error evolved into my bottom pulley invention. I grew up in the marine world tying up boats all the time, so drawing from that, I decided to figure out a way to put a boating cleat on a climbing pulley. I did some CAD drawings and eventually came up with a bottom pulley with a cleat built into the center plate. I also machined it myself using the CNC milling machine at Artisan’s Asylum. So, now I have a system where I can haul myself up and when I get to a point where I need to stop, I just tie it off on the cleat and hang there for as long as I need to. I have both hands free, so I can sit there and fiddle with stuff or do whatever I need to do. Editor’s Note: For anyone interested in Arthur’s pulley design, CAD drawings are available by getting in touch with him via his Mountain Project profile. After a few years’ experience and trying out different climbing methods, I realized there was no reason I couldn’t lead. My gym insisted that my doctor sign off on it, and they finally agreed to let me take a lead course and get my card. I don’t get to climb very often outdoors because the biggest challenge is not actually doing the climb; it’s getting to the climb. Mother nature is not ADA compliant, and we’re not allowed to sue. She’s grandfathered as prior construction. Often, the base of the crag where you start climbing is not wheelchair accessible. You need a small army of volunteers to carry you and your wheelchair up to the point where you start climbing. 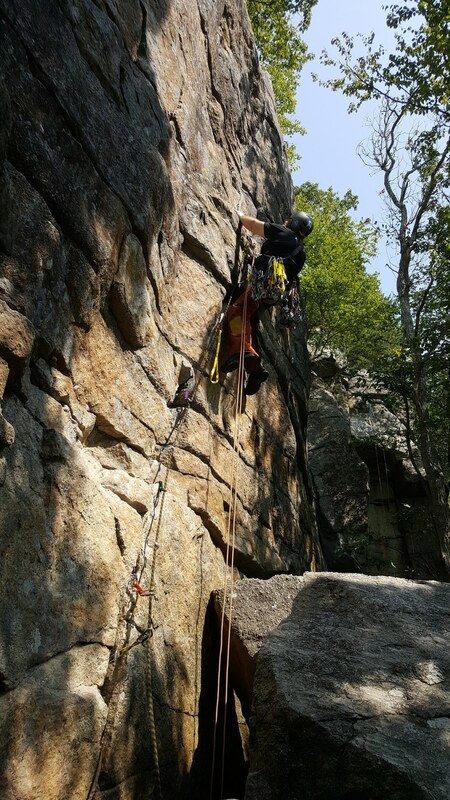 However, the Adaptive Climbing Group works with Mountain Skills Climbing Guides that runs out of the Gunks in upstate New York, and back in September of this year, I led a 30-foot climb called Ken’s Crack. 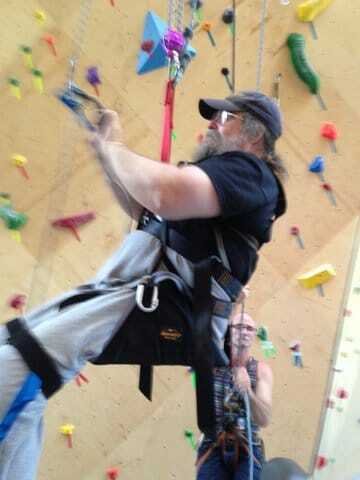 As far as I know, that makes me the second paraplegic in the world to lead climb. 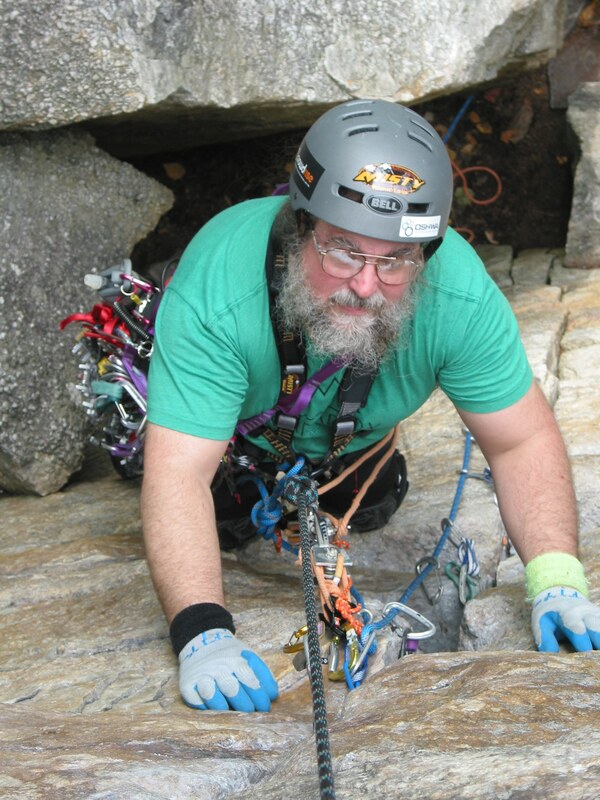 Editor’s Note: Lead climbing is considered an advanced technique requiring a high level of stamina and strength. While able-bodied climbers rely heavily on the use of their legs, paraplegics such as Arthur must develop exceptional upper body and grip strength in order to use this method. 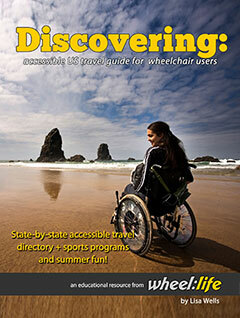 If you want to get into climbing, start by looking for adaptive climbing groups in your area. 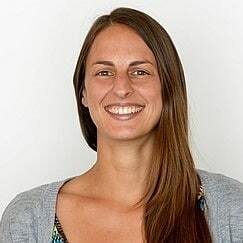 Try contacting local rock gyms, ask around, and do an online search for adaptive climbing. Gyms tend to be reasonably accessible. Everyone takes a slightly different setup, but most of us paraplegics use a standard climbing harness, and often times, but not always, a chest harness as well. A lot depends on your injury level and how much trunk control you have. I see a lot of different techniques among adaptive climbers. The challenge is trying to figure out what works for you. Finding a group that can help is very useful. Please remember that climbing is potentially dangerous, and NOBODY (able-bodied or not) should try it without appropriate equipment and training.